07.02.2011 » Mourinho: "Everyone hits Cristiano Ronaldo and not the other guy"
José Mourinho defended Cristiano Ronaldo last night and said that he has been getting a different treatment from his opponents, when comparing to "the other" player (implicitly refering to Lionel Messi). José Mourinho talked about the rivalry between Lionel Messi and Cristiano Ronaldo during his post-match interview last night. A curious fact was that he never mentioned the argentinian name, but instead, refered to him as "the other". The portuguese coach said: "To the other guy no one even dares to touch him, but when it's Cristiano Ronaldo, everyone hit him." Mourinho then added: "Ronaldo always plays close to his limits, because he gives everything he has to the team. However, his opponents don't play against him in the same way they do against that other player, from who they turn away and are afraid to get a foot on his way. Nobody touches him. When it's about Cristiano Ronaldo, everyone hit him hard, but he has a good body and he's strong enough to take it and keep doing his thing." Cristiano Ronaldo scored two more goals last night, against Real Sociedad, helping Real Madrid to keep pursuing Barcelona, who are still 7 points away. 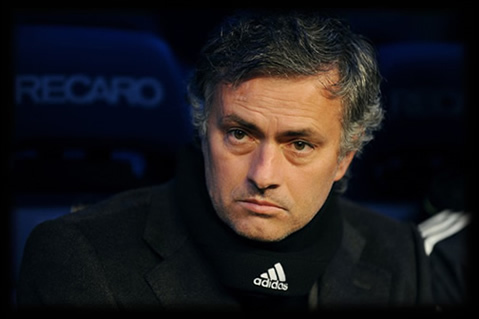 Mourinho noted: "The important thing is not to give up from the championship. For only once I finished in second place, when I was on my third season in Chelsea. If that happens again, it won't be a problem ("no pasa nada"). On a side note, we'll leave you with Cristiano Ronaldo latest trick from last night match, where CR7 "back dribbled" an opponent.